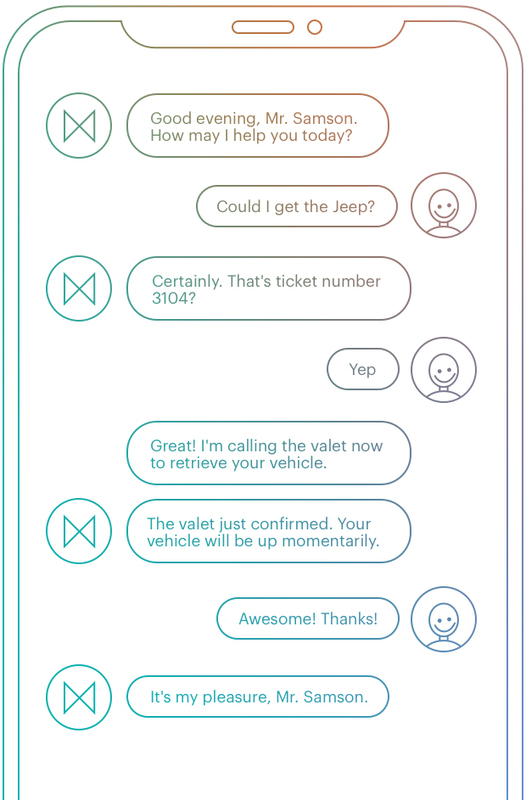 Use artificial intelligence to manage text-messaging with your guests. Good experiences aren't just for your guests. Your team will love Akia. Join the ranks of hotels who also discovered the next best thing. The modern traveler is becoming more technologically adept. Reach them, and let them reach you, using the apps they already have installed on their phones. Engaged guests are happy guests. Studies show that guest satisfaction and NPS correlate with the number of staff touch points. Maximize reputation scores by scheduling polite check-ins to ensure your guests are at their happiest. Absolutely free to start. No pricy hardware costs. No complicated software installs. 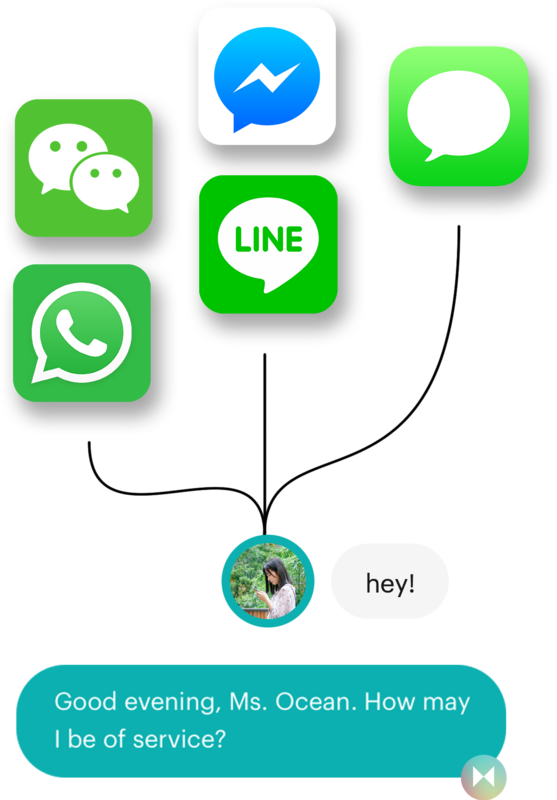 No “limit anxiety” on number of messages, so you can always offer the best experience. Akia is accessible anywhere over the web. No need to maintain servers or version upgrades. In addition to your team being immediately notified of new requests, our SLA breach technology will help you keep them accountable. Notifications are old news. 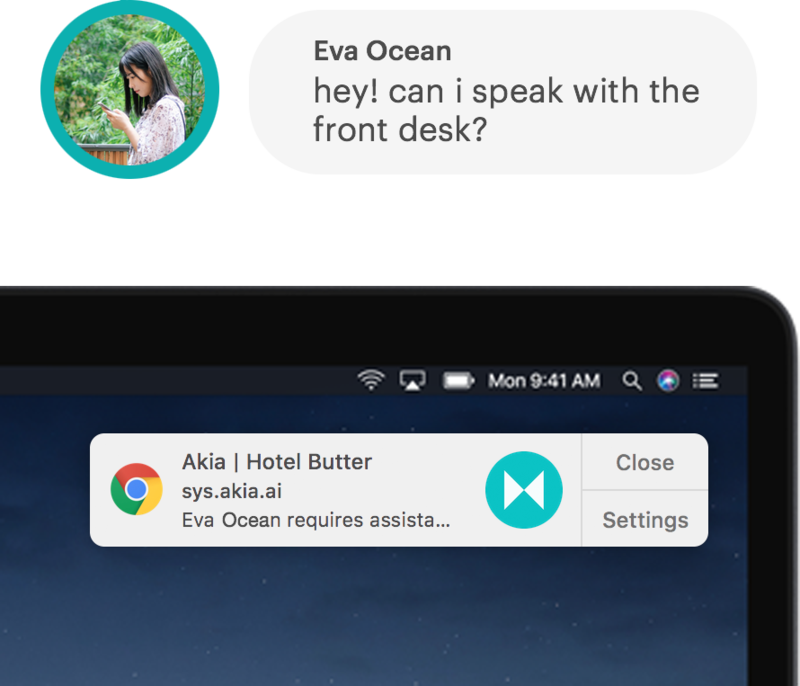 Akia isn't shy about texting or calling your team when there are guests waiting. 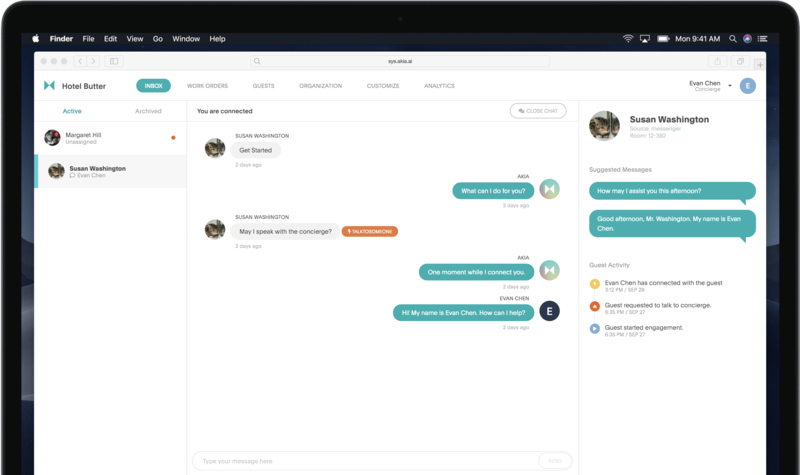 With 97% of messages read within three minutes, guests are sure to see what you have to say, and provide feedback when necessary. 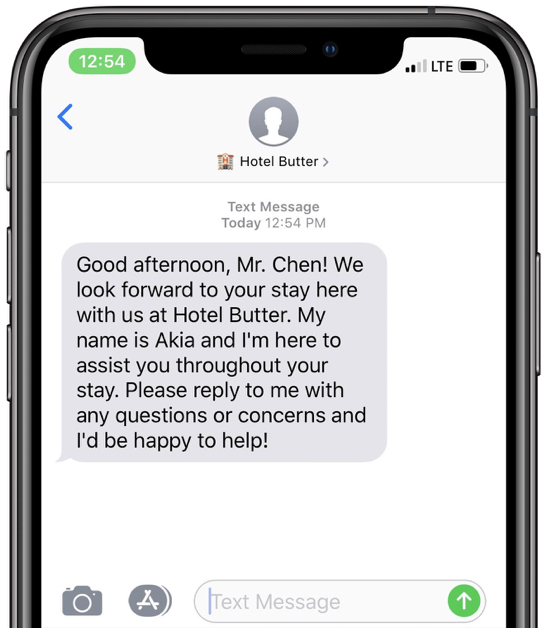 Use text messages to remind your happy guests to leave you a review. Or take the opportunity to learn what could have gone better using a more private form of communication. The Akia team have been so great to work with. It's obvious guest experiences are a priority for them with how easy it has been to keep my team accountable. The system has been really intuitive. It's really easy to see when it needs my attention, otherwise it doesn't bother me at all. It's been great to have when the front desk gets really busy. Try Akia for 30 days. Free. Provide your email address and our account team will reach out to help you get started.